The answer to the ecological crises of our day is found only in the glorious truths of biblical Christianity: God created ex nihilo; He is both infinite and personal; we are made in His image and thus have great value in Him; Christ's death brought redemption from the consequences of the Fall (for believing individuals now and for all creation when He returns). There are indeed serious ecological crises in our world, but, says Dr. Francis A. Schaeffer, one of the greatest Christian thinkers of our time: "The Christian who believes the Bible should be the man who--with God's help and in the power of the Holy Spirit--is treating nature now in the direction of the way nature will be [when Christ returns].... God's calling to the Christian now, and to the Christian community, in the area of nature... is that we should exhibit a substantial healing here and now." A powerful Christian classic--a marvelous theological response to ecological danger signals. Although this book was written about 40 years ago, it is still very relevant in light of todays's problems.A must read for all Christians, and very good read for anyone. This discussion is on ecology---mans' relationship with nature.I think there is little dispute, that man does have some impact on the earth.But what should drive us to be good stewards?Will the belief that we are just one substance with nature (pantheism), give us that determination?Where, or from whom, do our morals come from?There are dangers of putting human feelings into nature.There are those that certainly believe we have an obligation because of an oneness with nature; but where does that lead us?We end up lowering man.Though there are forms of corrupted Christianity that do not have the answers to ecology either; Schaeffer shows how the genuine biblical view does.If one believes something is there only by chance what value can it hold, but if one believes it was created by God it deserves respect. Schaeffer also discusses the division and corruption between man and man, man and nature, and nature and nature since the fall.As Christians, we have the hope and certainty this will be healed, but we can have a "substantial" healing while we are here.The appendix's by Lynn White Jr. and Richard L. Means lend more for us ponder. 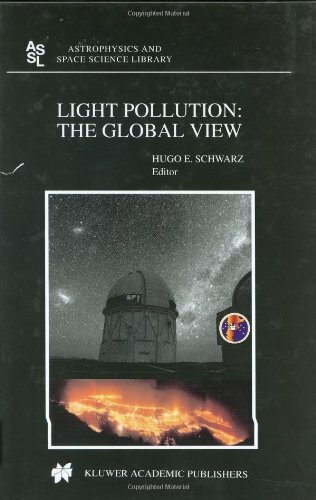 There is no doubt that the guy knows what he is talking about.I think it brings to light why Christians in particular have reason to care for the environment.The book often becomes pretty dull but it's still worth the read for certain. 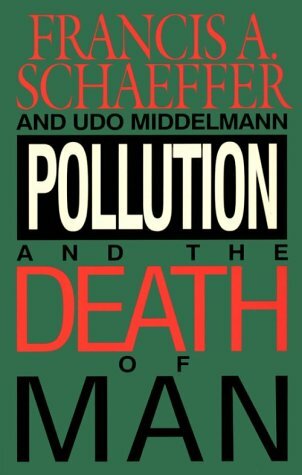 Pollution and the Death of Man is Schaeffer's response to two 1967 articles on environmentalism and religion.One is "Why Worry About Nature?" by Richard Means and the other is the well-known "Historical Roots of Our Ecological Crisis" by Lynn White.Both articles are reprinted in this book along with an extended essay by Schaeffer.The whole is a short read. Schaeffer begins by observing Darwin's self-reported loss of joy in both the arts and in the natural world.From there he builds an essentially aesthetic ecological theology.He affirms man's place as the pinnacle and rightful user of the natural world.But as in other categories of action, man should use self-restraint in dealing with nature so that it is not debased. Schaeffer is opposed to "plastic culture," strip mining, and other processes of uglification and mechanistic alienation.These are commendable, but they are essentially the concerns of several decades ago.There is no direction here for our current problems with overfishing, land and water use, energy scarcity, etc.For example, Schaeffer criticizes sport fishing as against subsistence fishing, but overfishing is essentially a problem of subsistence fishing. This was a ho-hum book of low current applicability.If the principles could be used as a guide for a Christian ecology, they needed much more expansion and investigation than what is presented here. In the past weeks I have spent some time wrestling with issues related to the environment and creation care. I have been seeking distinctly Christian wisdom on this issue, seeking to learn how we, as Christians, are to understand this world and our role in its care and protection. Last week I turned to Francis Schaeffer's Pollution and the Death of Man hoping and even expecting that it would answer some of my deepest questions. Schaeffer acknowledges from the beginning of this book what our society's secular humanists cannot--that mankind has been called by God to exercise dominion over the earth. But like everything else in this world, man's ability to exercise such dominion has been affected by the Fall. No longer do we tend the world always in love, but instead we ravage and pillage it. Though we may not believe in all of the dire claims being made about the world today, we must at least acknowledge that we have not cared for the world as God has called us to. The answers to this crisis lie not in our own efforts and not in the dictums of former Vice Presidents. Rather, if we are to understand the crisis, its roots, and its solutions, we must turn to Scripture. And this is precisely what Schaeffer does in Pollution and the Death of Man. 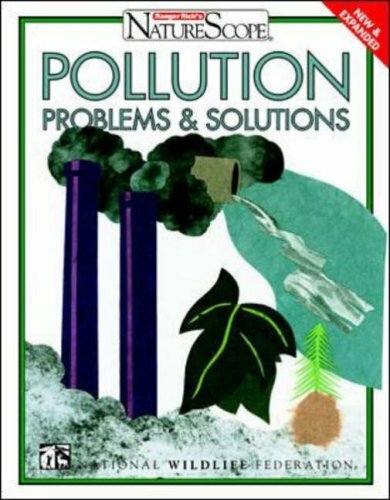 Originally published in 1970, the book reads as if it was written yesterday (if the reader is willing to replace the ecological crises of thirty years ago with those of today, perhaps substituting global warming for DDT). Schaeffer looks at the spirit of the day and sees how men are dealing with ecological issues. Perceptively, he sees that ecology, bereft of any firm, biblical foundation and without any consistent basis for morality, is breeding a kind of pantheism. Men deal with the environment by making themselves one with it and it one with them. He launches into what I'd consider classic Schaefferian thought: "Pantheism," he says, "will be pressed as the only answer to ecological problems and will be one more influence in the West's becoming increasingly Eastern in its thinking." Almost forty years later, his words are proving true. "The only reason we are called upon to treat nature well is because of its effects on man and our children and the generations to come. So in reality...man is left with a completely egoistic position in regard to nature." "Having no absolutes, modern man has no categories. One cannot have real answers without categories, and these men can have no categories beyond pragmatic, technological ones." "A pantheistic stand always brings man to an impersonal and low place rather than elevating him." In the end, pantheism pushes both man and nature into a kind of bog, leaving us unable to make any kind of necessary and rational distinctions. After looking at a few alternative inadequate answers to pantheism, Schaeffer turns to the Bible to give the Christian view of creation care. He affirms that our understanding must begin with the world's creation when God created things that have an objective existence in themselves. Despite the claims of pantheism, creation is not an extension of God's essence. It is only the biblical view that gives worth to man and to all that God has created. Nature begins to look different when I understand that, though I am separate from it, I am related to it as something God has created. "So the Christian treats `things' with integrity because we do not believe they are autonomous. Modern man has fallen into a dilemma because he has made things autonomous from God." As we love the Creator, we love the creation. Schaeffer next looks to "a substantial healing," saying, "we should be looking now, on the basis of the work of Christ, for substantial healing in every area affected by the Fall." As Christians we should be ones who are treated creation now as it will be treated in eternity. The problem, of course, is that "by creation man has dominion, but as a fallen creature he has used that dominion wrongly. Because he is fallen, he exploits created things as thought they were nothing in themselves, and as though he has an autonomous right to them." The book's final chapter brings a few points of application, though they are more high level than practical. Still, they are insightful. "We must confess that we missed our opportunity. We have spoken loudly against materialistic science, but we have done little to show that in practice we ourselves as Christians are not dominated by a technological orientation in regard either to man or nature." "If we treat nature as having no intrinsic value, our own value is diminished." Ultimately, we treat nature well because we are all products of the loving Creator; we are all creatures together. I echo the other reviewers thus far who have given the book five stars. Haberman's concise summary of the environmental movement, its underlying philosophies, and their relation to Hinduism is enlightening. 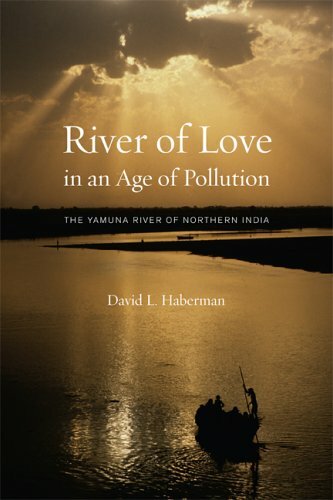 His treatment of the Yamuna River, its beauty, sacredness, unfortunate pollution, and Haberman's own love for Her is thoroughly enchanting, except for the part about pollution. However, that part has become an essential or urgent aspect of our world. Without understanding pollution, how would we selfish beings tear ourselves away from our trivial pursuits to serve something higher. Our sacrifice to something higher might be a river, the earth, or a deity. However, as Haberman's book implies, we had better sacrifice ourselves unselfishly, rather than selfishly sacrificing the rivers and the earth to our selfish greed. This is a lovely, lyrical book. The author's encounters with the local people were fascinating as was his description of the religious motivation for the surge in environmental awareness and concern in India. Such a different perspective than we have in the West. This is a wonderful, very readable book for anyone interested in rivers, preserving our planet, travel, India, or the religious traditions and stories of Northern India. 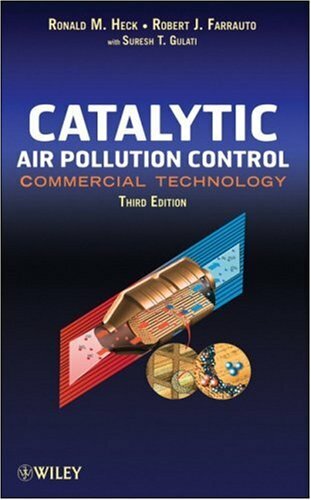 I bought this book as a reference for a college project I did about air pollution. It turned out to be the most valuable resource I had. Hill presents sophisticated information in an easy-to-understand manner. 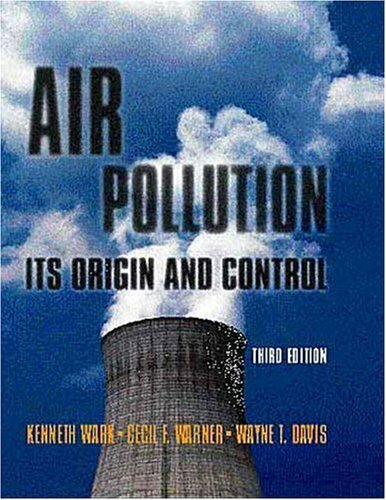 This book also made me realize the huge connection between air pollution and many other issues that the world faces today, and it helped me create a straight-forward list of actions my class mates could take to lower their personal contributions to air pollution. 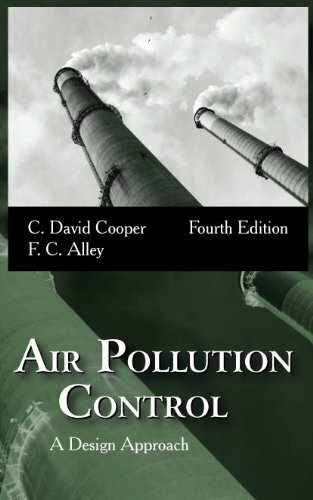 I got an "A" on my project, and I have a much better understanding of how my everyday choices cause air pollution, the consequences of those choices, and what I can do about it. The author became blind as a young boy but went on to be a brilliant student, a leader in the French resistance to the Nazis, was one of the very few to survive a concentration camp only to die in a post war auto accident. Author repeats himself but the book should read by the blind or anyone who is interested in how some blind people see far more than we who have eyes ! Read "Jeremy" and "Poetry in Buchenwald"
Like Ryan, I too read "Jeremy" over and over again. It is perfect and the most amazing piece of writing I've read outside of the Gospel of John in the New Testament. That's high praise, but try it!I sent "Jeremy" to many people, along with "Poetry in Buchenwald," also in this book.You can read my "Light Dream" I had in April of 1980 by googling "Ruth Schumeister" or by reading it in the Amazon.com reviews of "Embraced by the Light. "So when I read Lusseyran, I KNOW he knows what he's talking about.My life was incredibly enriched by both his books - I can't tell you how much! I look forward to meeting Jacques Lusseyran some day, if life is as they say it is!Read his amazing stories! The only author that comes near Lusseyran for me, outside the Bible, is Varlam Shalamov ("Graphite" and "Kolyma Tales") with his short stories of the Gulag.Shalamov is a poet, and his prose is amazing (translated by John Glad).I spoke to a Russian Jew in Framingham, MA at the pool, and we discovered a mutual love for Shalamov.He said he floated on air for three days when he discovered him, reading, reading, reading!He was able to rib me about the fact that he got to read him in the original Russian! How I envied him! The ending (especially) of "Peace Like a River" by Leif Enger -- the Heaven sequence -- is wonderful writing too.May I also suggest (corny as the front cover is) "Embraced by the Light" by Betty Eadie (her two subsequent books are excellent, too) and Betty Malz's "My Glimpse of Eternity" (wonderful!) and even what's his name's "Saved by the Light"? All these last three "Light/Eternity" books contain life reviews that are great - not to mention what they "saw"! Ah, but return to Lusseyran -- he towers, he towers! And he indeed "saw" -- and it was in THIS life!!! A wonderful collection of six essays by Jacques Lusseyran, the brilliant, fluent, compelling author who was blinded from a childhood accident. After reading the essay entitled "Jeremy," I read it again and again. It's a masterpiece, giving lucid insights into the essence that unites us all. I am ever so grateful for becoming acquainted with this remarkable man through his writings. Jacques Lusseyran, who was blinded at age 7, speaks in this fascinating book about how blind people can "see" by using their other senses and tuning into spiritual realities.He also talks about the gifts that accompany his blindness.This is an amazing exposition of phenomena not usually discussed (or perhaps even acknowledged) by blind people. It is certainly a message of optimism for them.But it is also inspiring for sighted people who realize how much they may be missing by relying so heavily on the sense of sight.Extremely interesting and insightful. 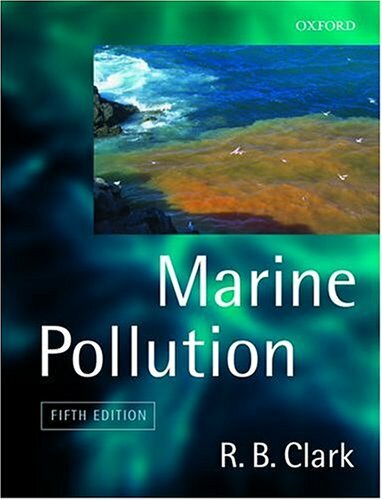 The market leading textbook in marine pollution now in its fifth edition. Mary Douglas is a central figure within British social anthropology. Studying under Evans-Pritchard at Oxford immediately after the war, she formed part of the group of anthropologists who established social anthropology's standing in the world of scholarship. Her works, spanning the second half of the twentieth century, have been widely read and her theories applied across the social sciences and humanities. Even during the busy holiday season, the book arrived as promised and ON TIME! Great job! This is one of the most famous and still relevant works about what are behind any given cultures concepts on cleanliness and impurity. Written in an accesible language so even interested laypersons can benefit from Mary Douglas' scholarly research. If you are intersted in Biblical criticism and/or anthropology - this book belongs in your bookshelf. It is simply a classic. This book is considered a classic and laid groundwork for future anthropological work in religion and belief.Though some of Douglas' positions have been criticized or disputed in later years, this book is important at least in providing a snapshot of anthropology in her time and in understanding some of the fundamentals which underscore more modern research. Having said that, it can be difficult to read at times, but is immensely interesting and at the least will open your eyes to new ways of considering the world around you.Things which seem natural to us might be determined by hidden cultural constructions which define who we are.The book provides cases from cultures around the world- West Africa, South America, India, Judea- whose diverse practices help underscore certain universal truths about what it means to be human. This book is a good introduction to anthropological religion research, and is insightful on topics of the taboo and impure.A must read for those with interests in these areas. Why do we let those close to us lick the same spoon, or eat off the same dish? Why kiss away tears but not snot? How do we learn to live with some filth and yet recoil at other dirt? And how does this all relate to "primitive" ritual, magical belief, and ethical culture? This book manages to be accessible for the non-anthropologist or historian of religion, yet too densely argued and scattered for the novice. How can it be both? Douglas writes in a no-nonsense style that I enjoyed, when I could grasp her points. Too often, like many critics, she's engaged more in a grudge match with previous academics and uses a considerable amount of this text settling scores, some from the time of "The Golden Bough" and the formative years of her discipline. While she makes her own argument known, the details of tribes, the skipping about that many of the chapters engage in through time and culture make her intricately developed thesis appear probably more fractured and piecemeal than she intended. The centerpiece, therefore, stands out as the lasting reason for which this earlier book is known, and you can see from her later work that she returned to Leviticus with gusto. "The Abominations of Leviticus" pioneered a cultural approach to the laws not as health codes -- although she notes that ethical control, hygiene and dietary concerns may well be by-products of these Mosaic restrictions and allowances -- but as aesthetic counterparts drawn from the natural world to the cohesion that the military camp and the Hebrew tribes demanded for survival and identity. She reads the proscriptions and prescriptions as conceptual structures of what fit the divinely mandated order that the Hebrews strove to impose-- following God's will as they understood it-- on their natural surroundings. Here, Douglas provided a paradigm shift for scholars trying to figure out what had eluded them about these seemingly arbitrary do's and don'ts. I have to admit I was reminded of a Monty Python routine that takes glee in enumerating similarly detailed provisos and prohibitions. How do religions sustain their aura? Douglas suggests three ways. 1) Suggest an enemy's to blame for undoing the religion's good effect. Demons enter on cue and sinister forces can be blamed at work here. She faults this as a half-hearted answer that makes the religion appear weak, as if it cannot explain the whole of existence without resorting to boogeymen. 2) Attend to fine print, or else the incantation will not be efficacious. She likes this approach better, as the devil or angel as it were may lie in the details. Also, the audience and priests need to be cleansed, guilt-free-- again if the ritual fails, scapegoats often can be found close at hand to take the blame. This method also establishes moral purity and aspiration to a higher sense of communal goodness to bind the worshippers more closely to assure the success of the religious ritual. 3) Change its tack, as Douglas puts it. Religions can alter to meet the times, the mood, the circumstances. Considering various "faith communities" in our curious parlance of our own generation's bureaucracies, applying Douglas' three responses to the present day secularizing drift and fundamentalist tendencies proves, now over forty years since its first publication, a salutary exercise in putting beliefs to the test. This book remains admittedly too much a collection of notes and readings rather than a tightly-knit thesis. Overall, its chapters move along fitfully, but Leviticus insights and the closing "The System Shattered & Renewed" retain their own verve for today. 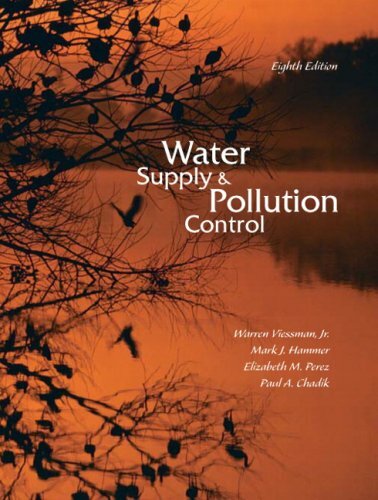 Complex environmental problems are often reduced to an inappropriate level of simplicity.While this book does not seek to present a comprehensive scientific and technical coverage of all aspects of the subject matter, it makes the issues, ideas, and language of environmental engineering accessible and understandable to the nontechnical reader. And yet, while, a lot has changed in a generation, much has not. We still have air pollution; we still contaminate our water supplies; we still dispose of hazardous materials improperly; we still destroy natural habitats as if no other species mattered. And worst of all, we still continue to populate the earth at an alarming rate. There is still a need for this book, and for the college and university courses that use it as a text, and perhaps this need is more acute now than it was several decades ago. 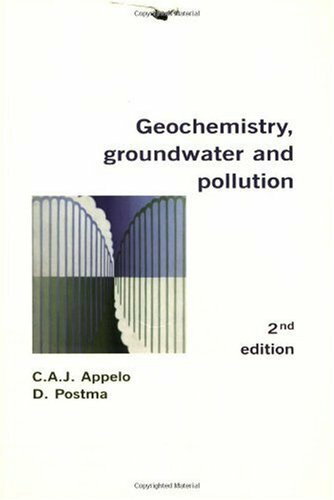 This book has been used as a text in courses which require no prerequisites, although a high school knowledge of chemistry is important. A knowledge of college level algebra is also useful, but calculus is not required for the understanding of the technical and scientific concepts. We do not intend for this book to be scientifically and technically complete. 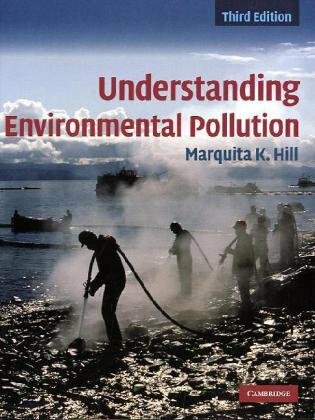 In fact, many complex environmental problems have been simplified to the threshold of pain for many engineers and scientists. 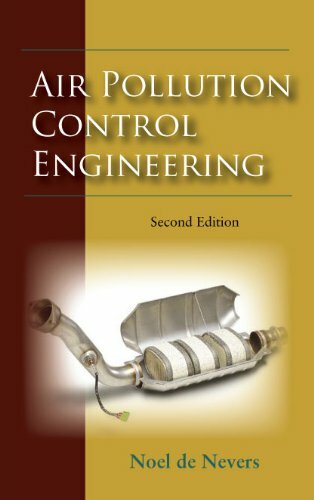 Our objective, however, is not to impress nontechnical students with the rigors and complexities of pollution control technology but rather to make some of the language and ideas of environmental engineering and science more understandable. 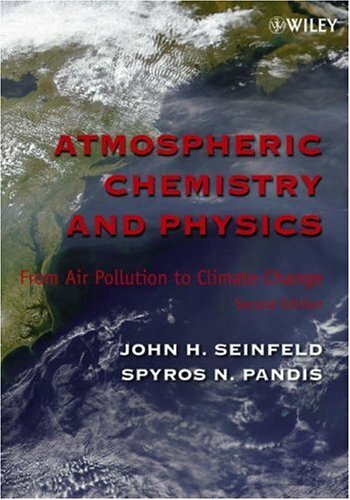 An introduction to the more important aspects of environmental science and technology. Well organized and suitable for both the technical and non-technical reader. This text is obviously a compilation of author's works.Some sections are extremely well written and organized.Other sections appear to be a scattered effort to address the topical issues related to the given section but with disjointed thoughts inserted so randomly that they appear to be simply an effort to check all of the boxes related to the given subject.It would be much easier to comprehend some of these sections if more tables, graphs, and bulleted lists were presented to make the desired points. I continue to use this book as a practical and teaching resource. 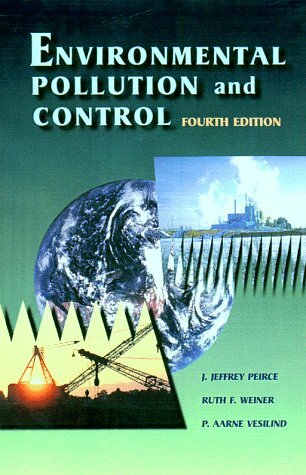 It is a good balance between the science and engineering aspects of environmental quality. The examples and problems are understandable for most undergraduates, and can be adapted to be more quantitative, if needed. 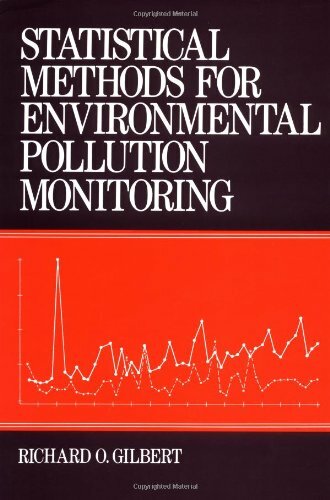 I used this book as base for teaching of Environmental Technologies at university. 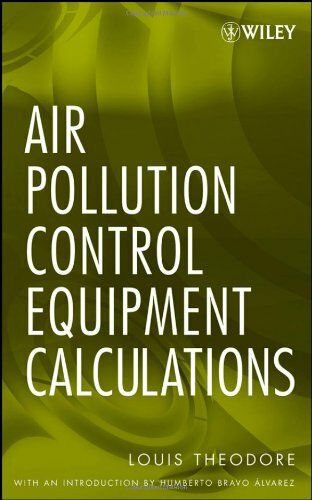 It is really good, easy to follow andaddresses the main aspects of environmental pollution control. The only aspect that it does not cover is soil pollution. One strong point: the figures, graphs, exercises are very good! 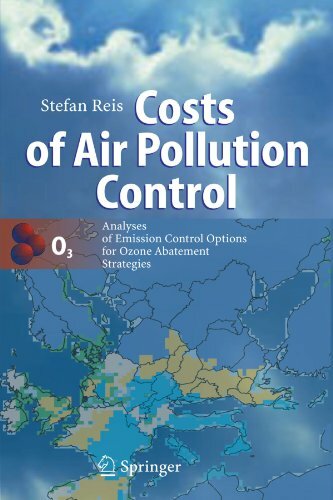 This book describes the development of cost effective abatement strategies aimed at controlling air pollutant emissions in Europe, particularly ground level ozone. 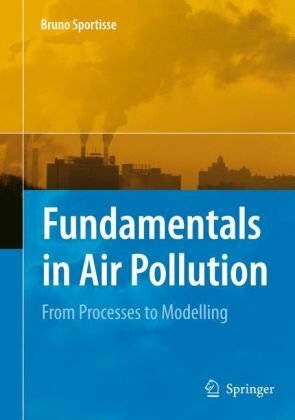 The author gives a thorough evaluation of the results achieved for different environmental targets, and proposes a modelling scheme for emission targets required to achieve compliance with EU thresholds, and calculations reveal the need to review established ozone thresholds and emission limits.